Nowadays, compact cars are one of the hottest commodities you can have. While hatchbacks are slightly more popular than sedans in this segment, they’re both still efficient and zippy, which means vehicles like the 2017 Chevy Cruze in Albany, NY are going to carry the success of the small car torch into 2017. Available in both sedan or hatchback versions, the Cruze will most likely be close to the front — if not at the front — of the compact car class in the upcoming year. Why? Because, its capable engine gives it balanced and spirited performance. It’s also a car that’s loaded with advanced technological goodies, along with having some of Chevy’s latest and greatest safety features on board. It’s just an all-around great vehicle, and the hatchback debut for 2017 will help its sales even further. Combine that with the fact that performance, technology, and safety remains the same on both body styles, and you can also add consistency in features to the Cruze’s already potent arsenal of automotive advantages. The performance of the 2017 Chevy Cruze is best described as spirited. While a diesel model is available, the gas-powered model only has a single engine option. And that’s fine, considering it’s a huge improvement compared to the engine from the last generation. It’s both more fuel-efficient and powerful and remains a front-wheel drive vehicle. While the 0 to 60 mph time of 9.6 seconds is slower than some of the other models in the class, its ultimate goal is fuel economy. Even so, the acceleration of the Cruze is still something you shouldn’t have to worry about, especially for driving around town and getting on the highway. The single engine choice is a 1.4-liter four-cylinder engine, that puts out 153 horsepower and 177 lb.-ft. of torque. EPA estimates for the Cruze with this engine are 28 mpg city/39 mpg highway when equipped with a manual transmission. With an automatic, those numbers increase slightly to 30 mpg city/40 mpg highway. As a side note, the hatchback model gets slightly less fuel economy. Regardless, both fuel economy ratings are exceptional for a vehicle of this caliber. Cruze power comes mated to a manual six-speed transmission on the L, LS, and LT trim. A six-speed automatic is optional for the LS and LT trim if you don’t fancy a stick. If you want an automatic transmission along with all the upgraded features the Cruze has to offer, you’re in luck. The Premier trim comes with everything listed above. Or, you might want to upgrade to the automatic transmission if you experience a lot of stop and go traffic, given the available stop/start engine technology – designed to save fuel when the car is idling. There’s a plethora of advanced safety features found on the 2017 Chevy Cruze, which has a three-part safety system, designed around the principal tenets: prevent, protect, and respond. All the safety features — whether standard or optional — work together to fulfill this mission. When it comes to preventing an accident, I’m not talking about airbags or a safety cage. Those fall under the category to protect during an accident. Instead, I’m talking about the more advanced technology features that help you avoid an accident. What kind of features? Let’s start with frontal collision alert, which uses a camera to scan traffic for stopped or slowing vehicles in the Cruze’s path. If this technology detects a potential collision, it will give you an audible alert so you can take action to avoid it. If you put it in reverse, rear cross traffic alert will kick in and help you avoid backing into any oncoming traffic that might be approaching from the sides of the Cruze. If the system detects any approaching vehicles, then it will provide an audible alert — as well as a visual one on the rear vision camera — to let you know it isn’t safe to back out quite yet. If an accident does occur, 10 airbags will deploy. Before that, the high-strength steel safety cage will absorb most of the impact. Even these preventive safety features have their limits, and, as we all know, accidents do still happen. Airbags will deploy, and the steel safety frame will absorb a lot of the impact, and help protect you and passengers from the damage. But, an injury can still result, or maybe you’re unable to call for help due to being incapacitated or pinned in a position that keeps you from accessing your phone. If that’s the case, then you’ll be glad Chevrolet has included such an advanced responsive safety feature on the 2017 Cruze. 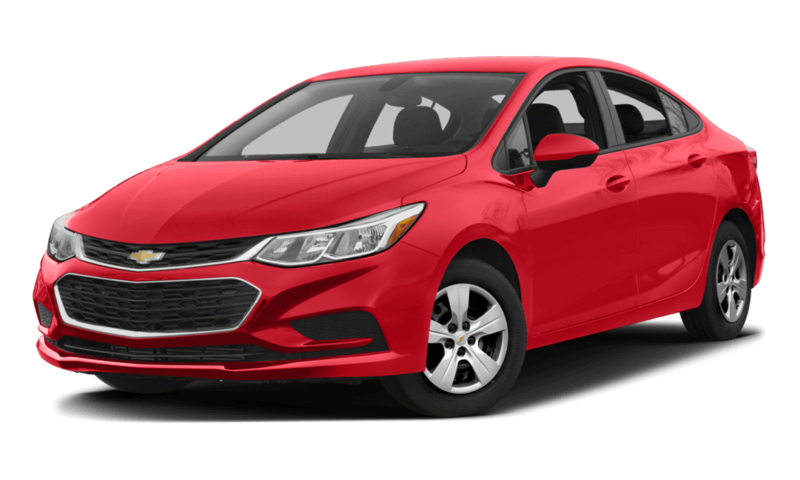 Since the Cruze was released to the market fairly recently, it’s expected to come loaded with all the latest and greatest technology Chevy has to offer. If you share that assumption, you are correct. Chevrolet MyLink is along for the ride and powers a touchscreen display. In particular, this display is a 7-inch one. Why is this such a big deal? Because, MyLink is one of the most well-loved systems in the industry. 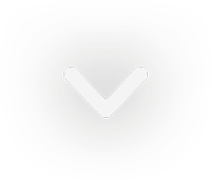 It provides the capability to connect your phone — via Android Auto or Apple CarPlay — and easily access all of your favorite phone functions, like hands-free talk and text, Pandora radio, navigation, and other popular phone apps. But, if you’re willing to take your MyLink touchscreen experience to the next level, grabbing the available 4G LTE Wi-Fi hotspot is a good way to do that. You’ll be able to have Wi-Fi wherever you go, with a connection that runs faster than just using data. On a side note, the Cruze was the first vehicle in its class to offer support for both Apple CarPlay and Android Auto. Given the amount of hands-free driving laws that have since passed, this a must-have feature for the modern driver. With more than 3,461 great reviews (and counting) from our customers, it’s safe to have faith in our promise to provide you with guaranteed satisfaction when you shop at DePaula Chevrolet. After all, we are a certified Chevrolet dealership. What does the certified distinction designate? Simply put, it means we are able to provide high-quality new and used cars, along with certified pre-owned cars – used vehicles that are guaranteed from the manufacturer to be in like-new condition, thanks to an inspection test. This also gives us the ability to provide our consumers with some additional perks, like instant cash offers for your car, a VIP program, and 24/7 availability. Even if we weren’t a certified Chevrolet dealer, our customer-focused attitude would still be the same as it is today. Because at DePaula Chevrolet, we know that without our customers, we wouldn’t – and couldn’t – be as successful as we are today.